What is it about handbags that women find so alluring? Every time I buy one I swear that it will be my last, but then I find a new bag that catches my fancy. Bags are sort of like Lay's potato chips: You can't just eat (buy) one! Here are some of the bags that have caught my eye as of late. I have different reasons for liking each of them, as well as reservations for why I shouldn't purchase them, all of which you will find below. Here's a brief description of my thought process regarding each bag. I think this is more for me to figure out my own thoughts, but perhaps you will find it helpful too. I'm drawn to the color dark orange, borderline red, Henri Bendel satchel, but it seems a little pricey for a bag that's not made in Italy. The black Zara cross body is clearly inspired by Chanel's boy bag. To be honest, I would like the real thing, but at $159 compared to $5,000+ for the Chanel, perhaps I should let the price decide? 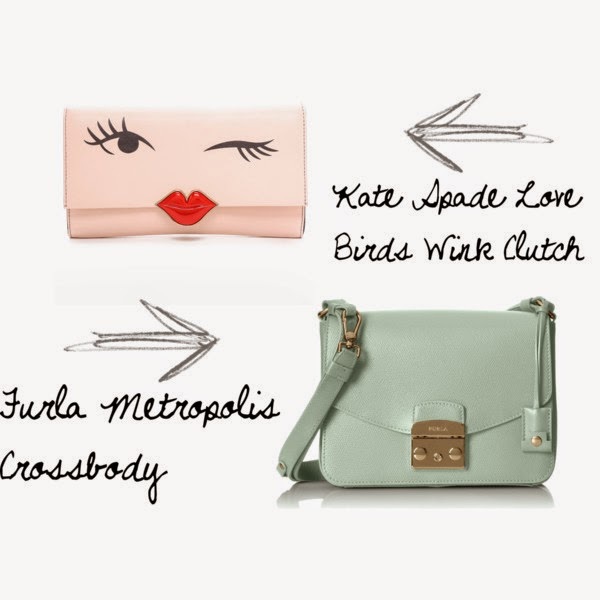 The kate spade bag Love Birds Wink clutch is super cute, but I have way too many quirky, whimsical bags! (Maybe if it goes on clearance?) Last of all, the Furla mint bag is probably the best bang for your buck. It's made at Italy and priced right at around $500. My only reservation is that I might eventually tire of the mint color? Perhaps I just shouldn't buy any of the bags! 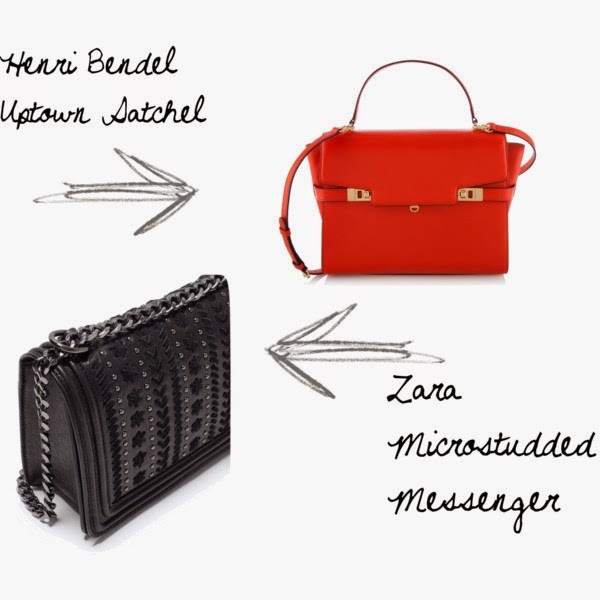 love the zara bag and the mint Furla one! love themmm!!! Yes, I definitely love them all! I think I will probably get the Furla one at some point, but the price went up about $100 on Amazon where it is featured. I hate that about Amazon! I am having bag lust also. Love 1 and 3. Hope all is well. Have a great weekend! I think all women have bag lust, and maybe shoe lust too! I would like to go check out the quality of #1 and if it goes on sale I might get it!